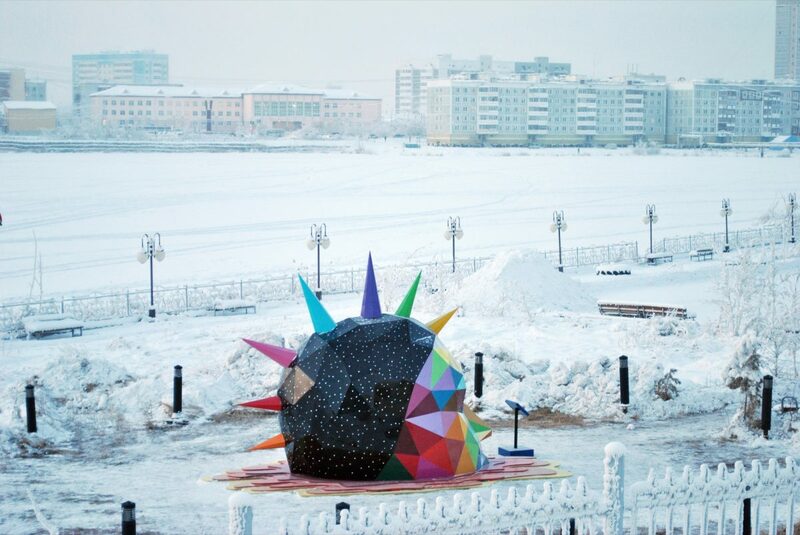 As part of the public art program 5th International Contemporary Art Biennale in Yakutsk BY-18, San Miguel a.k.a. 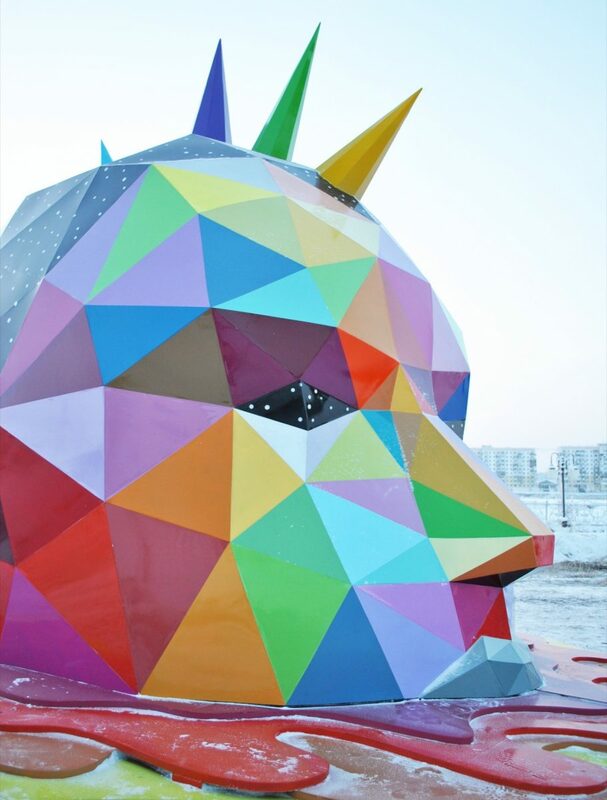 Okuda just finished his latest Work „Ancestral Retromirage“. 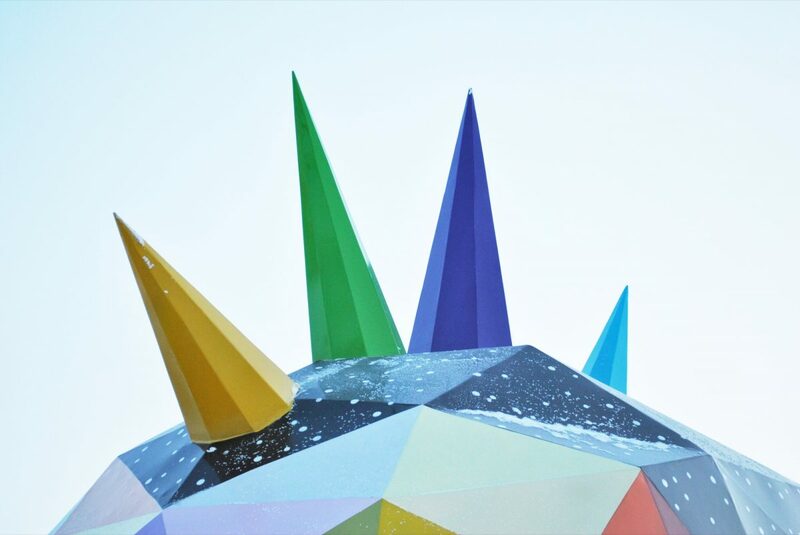 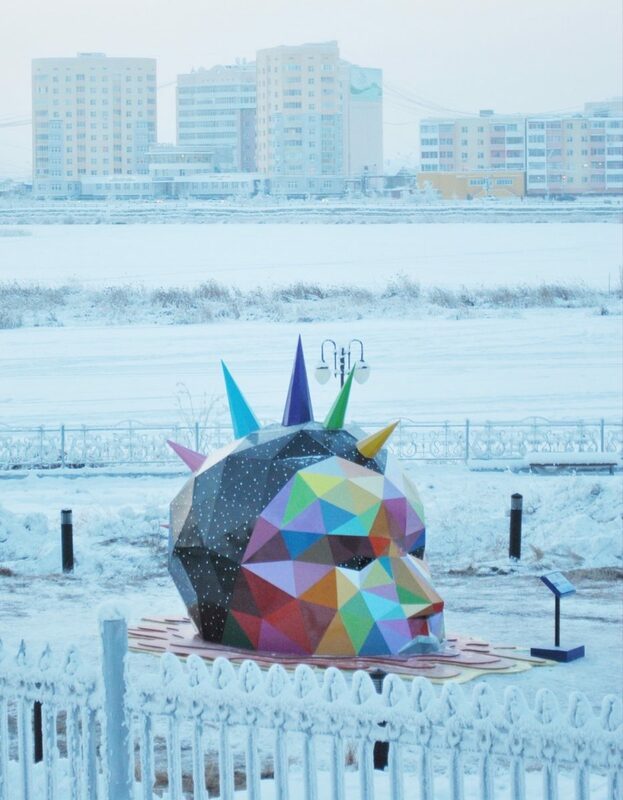 The sculpture, which portraits a colorful spike head, was installed on the embankment of Sajsary Lake in Yakutsk, complementing the urban improvement program. 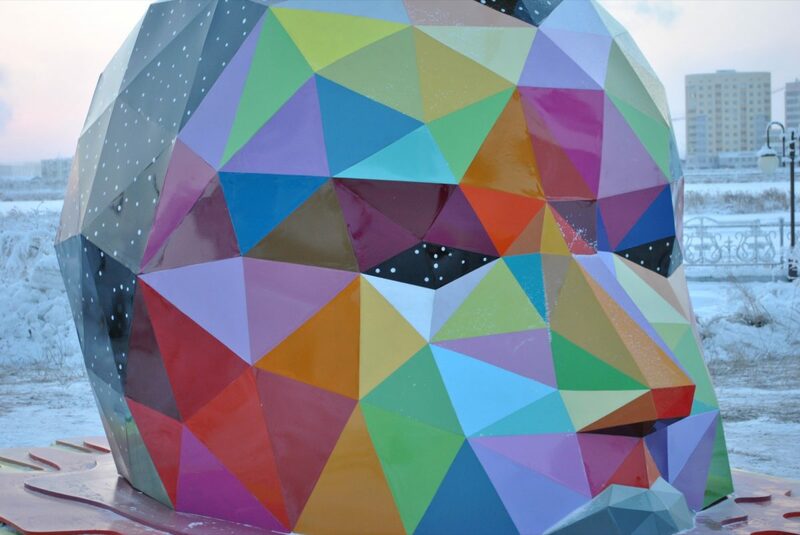 In the spirit of the Yakut mythology, the Spanish artist tried to present the primitive Man without the shackles of civilization as a symbol of human’s original instincts which get lost in the concept of the modern man. 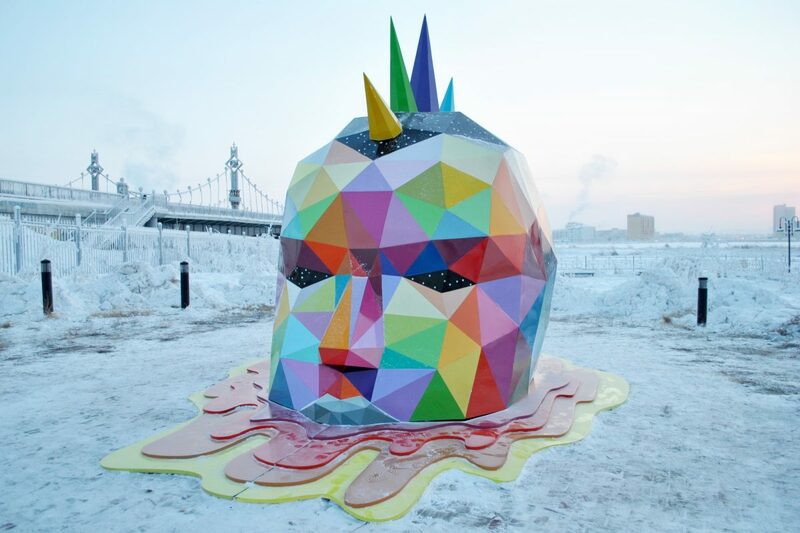 Veröffentlicht in contemporary art, Installations, sculptures, Uncategorized, urban artGetaggt mit Okuda, russia, urban art, YakustkBookmark the permalink.